Are You Planning An African Safari To Mahale In Tanzania? 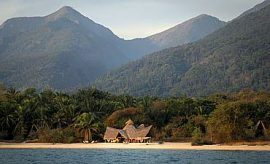 Scroll Down..
Discreetly hidden in the forest fringe on the silvery-blue shores of Lake Tanganyika, sheltered at the foot of the 8,000 feet Mahale Mountain range in Tanzania, lies Greystoke Mahale, an unbeatable premier base for AfricanMecca guests from which to experience a primate safari in Africa. Looking like a Dutch milkmaid’s cap, its thatched wings echoing the shape of the escarpment behind, the eye-catching main building is the only sign of human occupation. 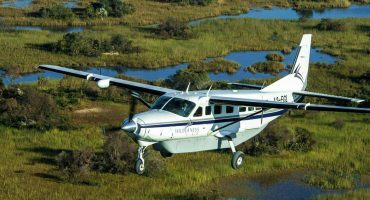 It is a fantasy comes true as you approach by boat (90 minutes away), the only means of access from Mahale Airstrip. Mahale Mountains National Park is home to nine species of primate including two species of Galago – bush babies, Vervet, Silver and Red-tailed monkeys, Yellow baboon, Angolan and Red Colobus and the Robust chimpanzee, for which this is one of the last safe refuges. 800 wild chimps live in the mountains of Mahale. One troop of 60 individuals was studied for many years by a Japanese team of scientists led by the late Dr. Toshisada, becoming imperceptibly habituated to human beings so that they can be observed by trekkers on a primate tour in Mahale. Greystoke Mahale is committed to conservation and sustainable development with an excellent staff training program. The camp claims its luxury Nomad status, not for its chic hotel-like amenities (although miracles have been achieved to make it accessible and to bring in food and necessary supplies), but for the opportunity it offers to escape to the utter freedom of wilderness in a unique, rustic and superlatively beautiful setting on your chimpanzee safari to Tanzania. 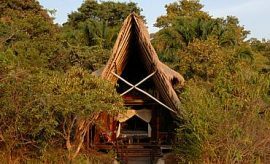 Built entirely from locally available materials, including the salvaged wood of old dhows, driftwood and bamboo and makuti thatch from outside the park, Greystoke Mahale is a delightful African holiday base, combining rustic simplicity with imaginative originality. 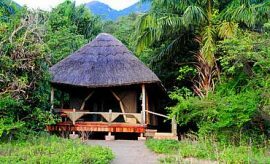 6 camouflaged, comfortable, airy, and spacious bandas are widely spaced along the edge of the forest, facing the beach and the stunningly beautiful Tanganyika lake. Each adds an amazing bare-feet beach ambience to your chimpanzee tour, with chunky wooden, net-draped wide beds, night lamps, deck loungers, storage cabinet and tables. Each Greystoke Mahale suite is linked via a dressing area and boardwalk to a private bathroom with powerful shower and flush toilet. Beach wraps or kikoys are available. Bottled water is also provided. An upper deck with loungers is accessed by ladders made from old canoes. 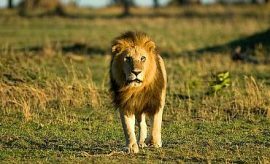 Looking out in the early morning on your Tanzanian vacation, AfricanMecca guests may see visiting warthogs, pugmarks of a rarest elusive Mahale leopards and cub in the warm sand, or tracks made by chimps’ only feet from your dwelling. Behind you, mist cascades down the mountain and the morning air is redolent with the rich scent of wild jasmine. The well-trained staff are friendly, thoughtful and endlessly obliging. Centrally placed on the beach, the camp's fanciful landmark, an architecturally distinctive two-story dining area and lounge, dominates the landscape. 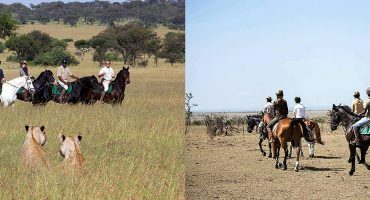 Although the main focus is on the Mahale chimpanzee safari experience at Greystoke camp, this is a morning activity as per your AfricanMecca itinerary. 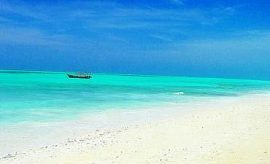 Options for afternoon activities include fishing, kayaking or swimming in deep water from a dhow. Crocodile and hippo have been seen at the lake edge, so swimming from the coast is not advised. A disclaimer is always signed on arrival! Hikes are tough in Mahale. There are no roads and the terrain is steep. It is a demanding conglomerate of many African travel habitats. You can see other primates and mammals, or marvel at hundreds of butterflies and exotic birds in this diverse region which straddles miombo woodland, bamboo and tropical rain forests and savannah grasslands. You can even swim in astonishingly icy pools below mountain waterfalls. The chimpanzees are the stars. From patriarchal, some over 40-50 years old, who sits allowing himself to be groomed as he watches the antics of the troop, to the alpha male, a strong, clever tactician, constantly changing as candidates battle for supremacy, and the dominant and submissive females, juniors and infants, this is a rich and fascinating community, credibly reflecting the evolution of human society. After searching for up to four hours, you will hear their hoots and approach with caution, following Mahale Mountains National Park rules for your own safety and theirs. For a magical one hour, you absorb the interactions of the troop as they play, squabble, groom, eat and posture, breathlesslessly aware of the true meaning of your evolutionary trip to Mahale. You can paddle out on the lake in a canoe with a flask of tea to watch the sunrise over the mountains. Fragrant early morning coffee can be sipped on board a dhow on the lake, water lapping lazily beneath your feet. Enjoy sundowners in the dhow as evening falls and the sun disappears below the shimmering orange carpet of the watery horizon, or watch the spectacular scene from the separate bar, wooden decked, with a deep thatched and sandy floored lounge area, which is a delightful place to enjoy a drink amongst bushes and tumbled rocks along the shore. Although the nearest town is 24 hours distant by lake ferry, or four hours by air, fresh fruit and vegetables are available from their own farm, not so far away outside the Mahale National Park (read more on where else to stay in Mahale). You can even catch your own delicious fish in the lake and see them grilled over a camp fire for your enjoyment. The beach restaurant with its open sides and decked roof traps cooling breezes and affords breath-taking views of beach, lake, forest and mountain sides. Special diets can be provided given ample details and advance notice via your specialist AfricanMecca safari planner. Inclusive breakfast precedes your first primate tour in Tanzania (read more on when is the best time to visit Mahale Mountains Park). A delectable buffet awaits your return. Dining at Greystoke Mahale is an unforgettable experience, shared with fascinating like-minded people by lantern light at a large table on the beach. 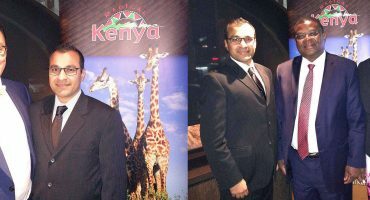 I had a wonderful time in Tanzania and Kenya and feel that you fulfilled all that you promised me. My expectations for Chimpanzee trekking safari in Mahale Mountains of the trip were high, and I was not disappointed. Congratulations, the organisation by AfricanMecca was perfect. As to Mahale we spent 4 memorable days in that beautiful scenery, with plenty of Chimp viewing, a lovable crew and good food. Thanks once again for the top service. Dear Raza, We want to thank all the AfricanMecca team and the people who had made possible such an unforgettable honeymoon. Thanks to Nkungwe Beach Lodge (a paradise on earth) for all their attentions in such a remote and beautiful spot. I recently returned from a trip to Tanzania with a party of eleven people (Canisius College school group) visiting remote Chimpanzee and Wildlife in Gombe, Mahale, Selous. I am pleased to report that I was entirely satisfied in every respect. We had a wonderful time on our chimpanzee safari in Mahale Mountains National Park. The services were outstanding. The guides were knowledgeable and led us to several very nice viewing opportunities. Asante sana. 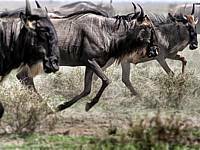 When staying at Greystoke Mahale in Mahale Mountains National Park, we recommend combining it with your Northern Tanzania safari to Tarangire, Lake Manyara, Ngorongoro Crater and Serengeti (wildebeest migration). End your trip with a Swahili cultural tour and beach holiday in Zanzibar. You may optionally extend out to offbeat parks in Southern and Western Tanzania such as Selous, Ruaha or Katavi. 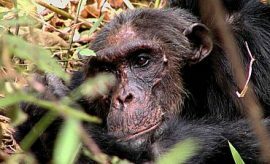 ARE YOU PLANNING A CHIMPANZEE PRIMATE SAFARI TO MAHALE IN TANZANIA? HAVE YOU VISITED MAHALE FOR AN AFRICA PRIMATE SAFARI IN TANZANIA?